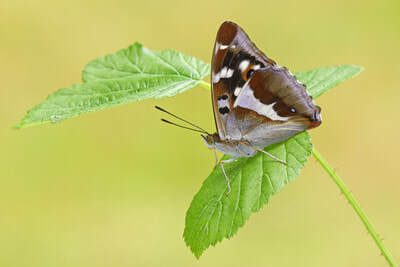 ​The ground colour of the upperside is brownish black with white spots on the forwing and a white stripe across the centre of the hindwing. 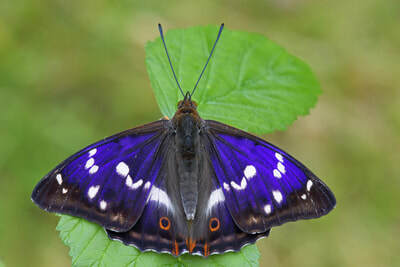 The male displays a brilliant iridescent blue or purple when viewed at certain angels. 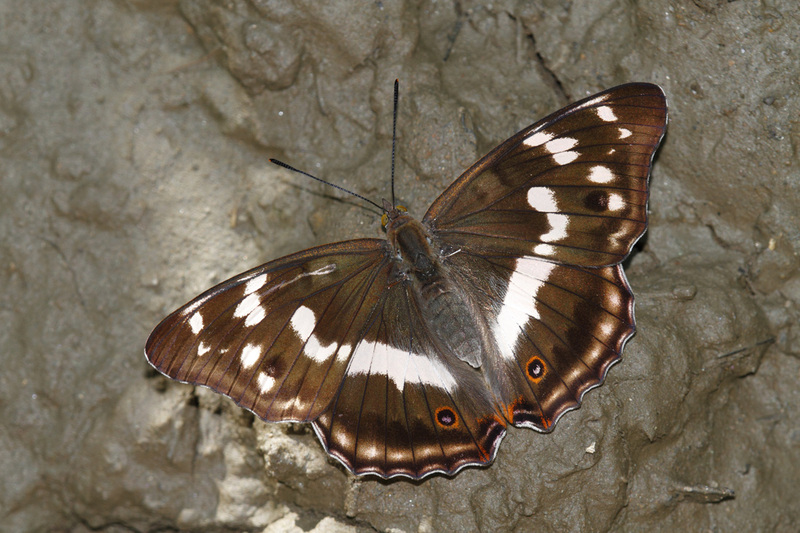 The female is larger than the male, paler brown with larger white markings and no blue reflection. 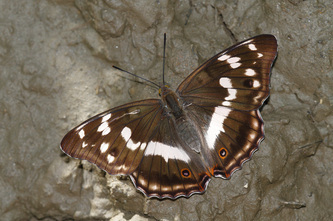 The undersides are largely brown and white in both sexes, with silvery-grey markings. 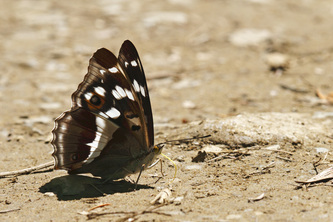 Flight in July and August in one generation. 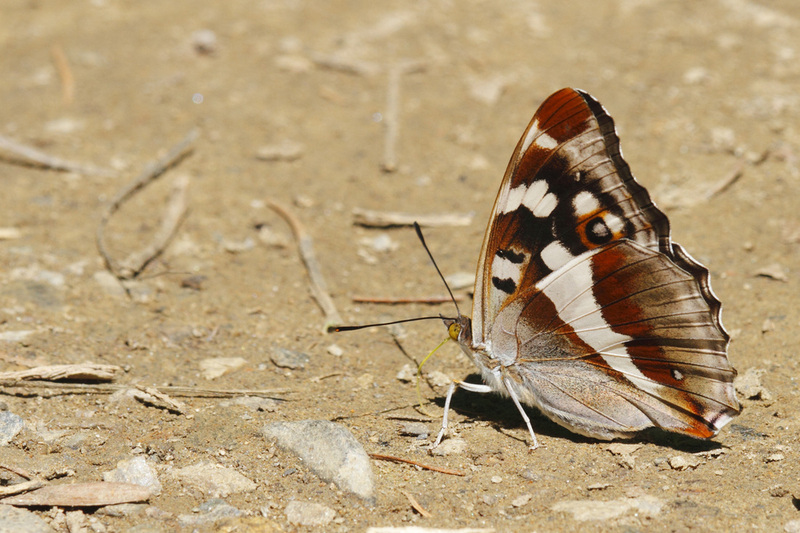 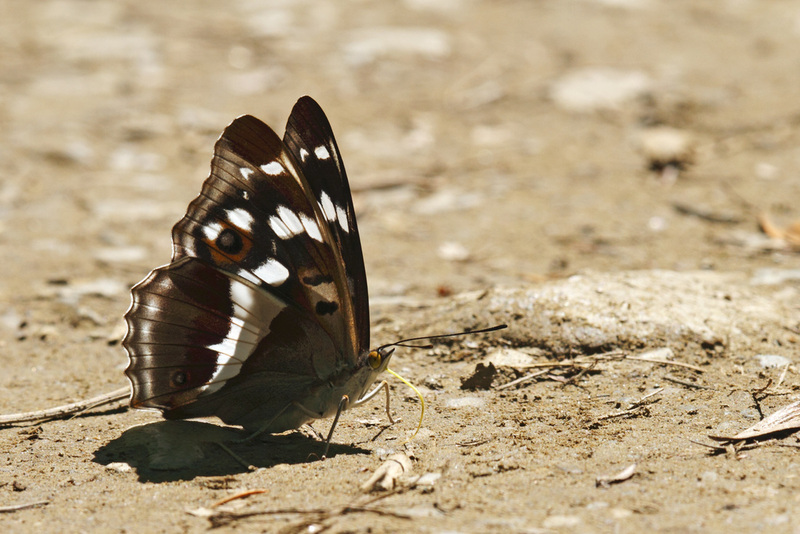 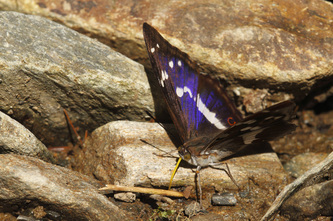 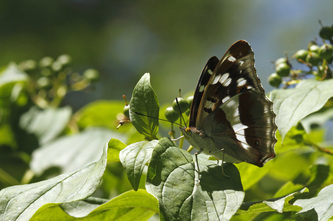 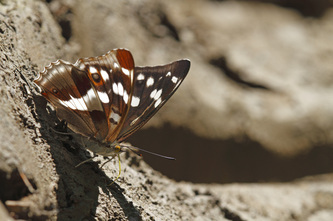 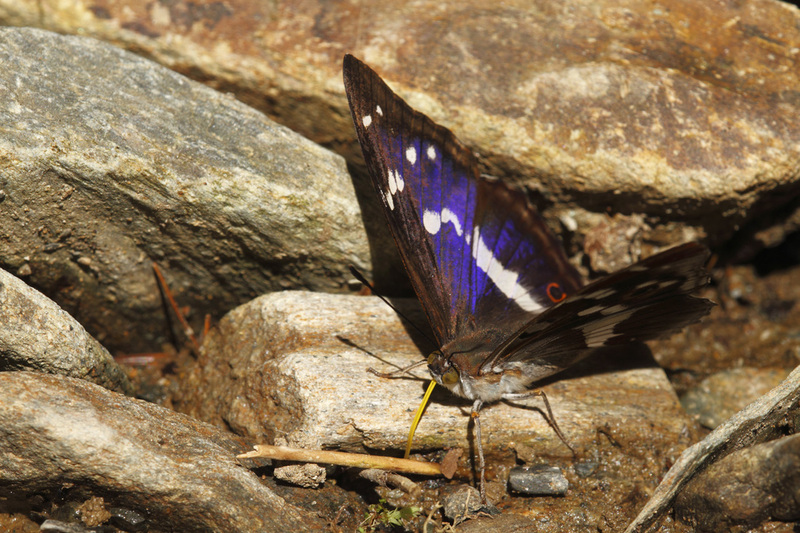 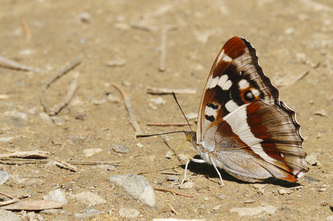 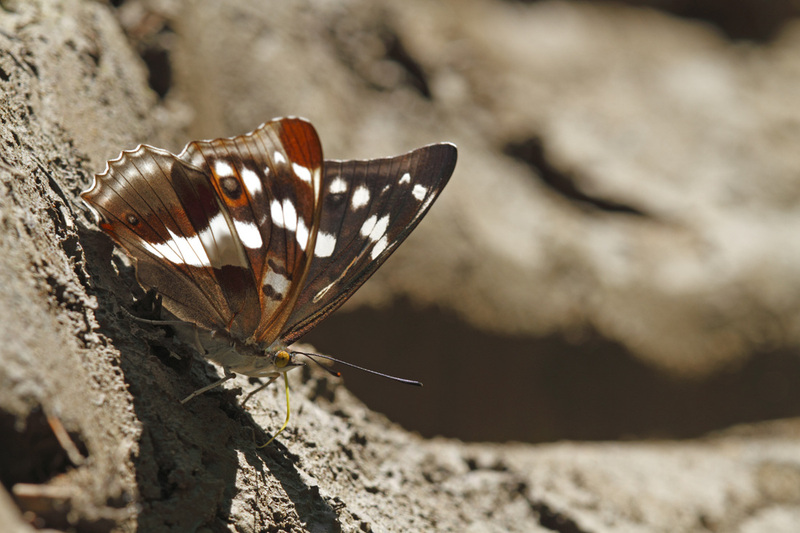 The Purple Emperor is generally staying in the treetops and feeding on honeydew although with warm weather they sometimes come down to drink from muddy ground or dung. 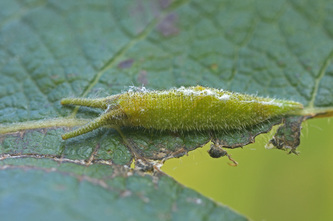 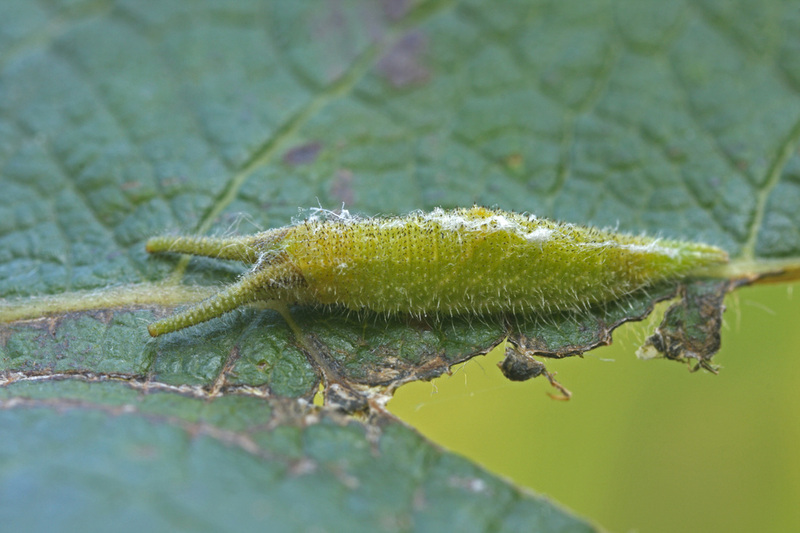 The larval foodplants are various sallows like Goat Willow and Grey Willow.